Found this poster on Facebook today. I think the person who made this up knows what he is talking about. The sound guy has a great job, but its not all glamour – it can be a lot of grunt work. 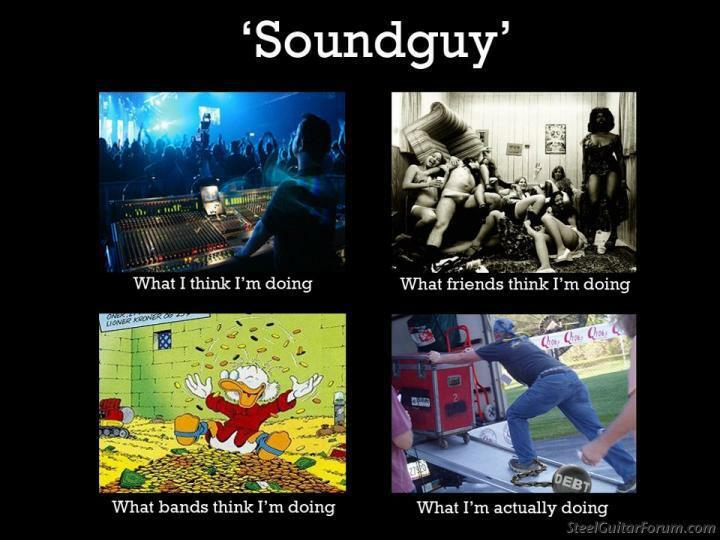 Still, there’s no music without a sound guy who knows what he’s doing! This entry was posted in Music, Technology and tagged Facebook, music by Unsigned Podcast. Bookmark the permalink.